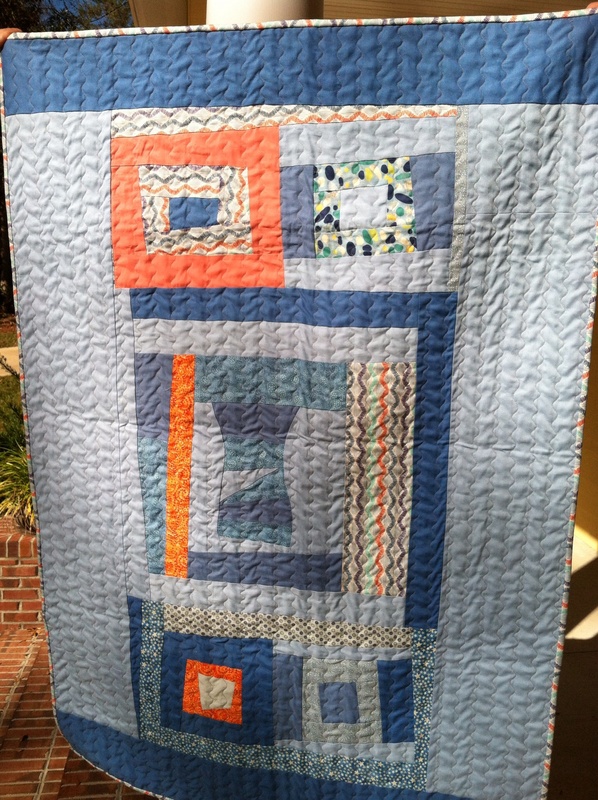 Just finished a baby quilt for a friend. 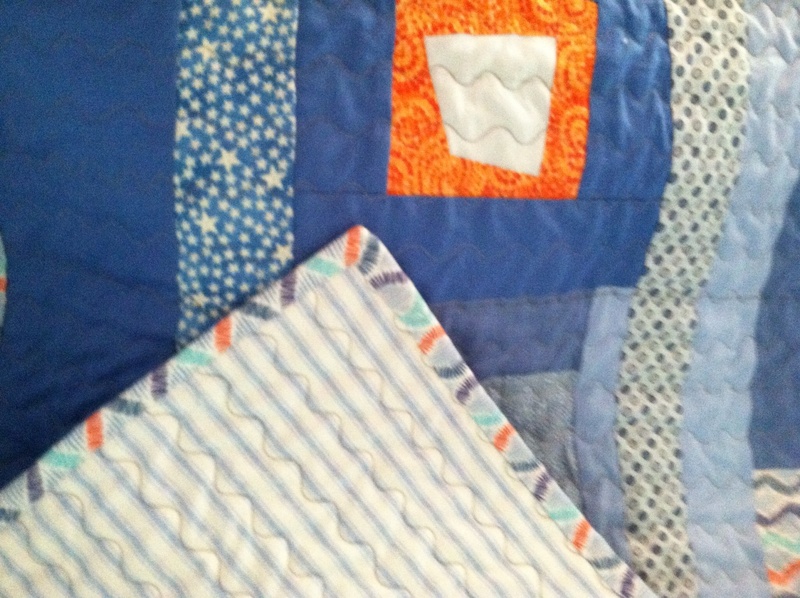 This entry was posted in Uncategorized and tagged Baby Quilts, Modern Quilting, Wonky Log Cabin. Bookmark the permalink. Thanks, to you too, wombat quilts! 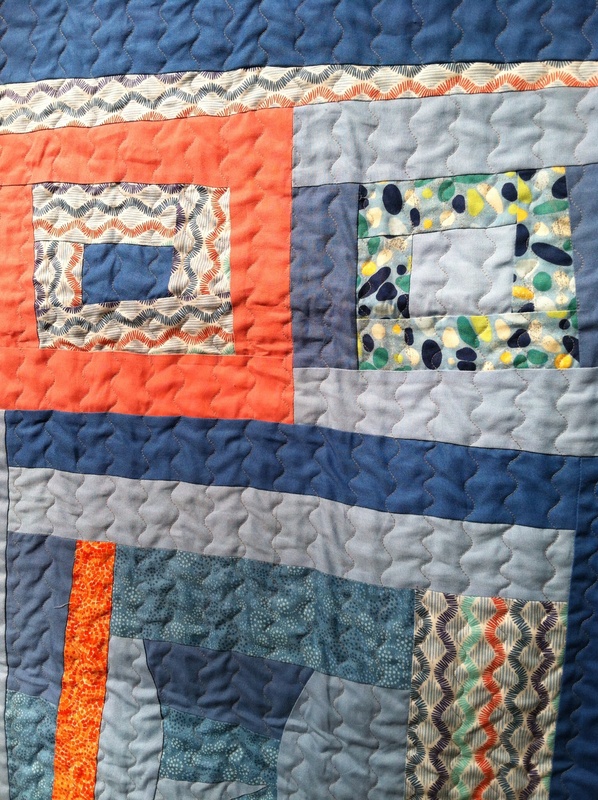 Very nice color combination and design, love your wavy quilting! Thanks for your positive comments. It was a fun project.